What does the lender want? Any other uniqueness to a Short-sale? 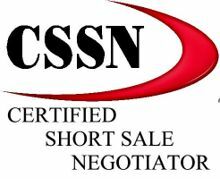 Wally is a “Certified Short Sale Negotiator”. First, lenders cannot negotiate directly with prospective buyers for any property prior to its foreclosure because the bank does not own the property. Prior to foreclosure, in response to a purchase offer made to the owner/borrower, lenders can negotiate with the owner/borrower regarding settlement of the debt for less than is owed. If such a transaction occurs it is referred to as a “short sale”. More about these later. During pre-foreclosure, the lender will establish a minimum acceptable amount/bid for which the lender would release their lien on the property. The minimum bid could include the loan balance, past interest payments, and legal fees and costs incurred to start the foreclosure process. But this amount is typically more than the market value of the property. The lender may set a lower minimum acceptable settlement amount in hopes of disposing of the property prior to foreclosure auction. If the minimum bid is “right”, this is the best opportunity to acquire a distressed property … just before it becomes an actual REO. For most properties, however, the price is “wrong”, and, upon foreclosure, the lender becomes the owner of the property in satisfaction of the debt. Property acquired by a lender through foreclosure is commonly referred to as “REO” – Real Estate Owned. Such property is costly to maintain, for costs related to banking regulations as well as the common ongoing costs, so lenders prefer to minimize their REO holdings. “Foreclosure” in Arizona occurs nearly always as a result of a trustee sale, which is a form of public auction. When a borrower has not made loan payments for at least 90 days, the lender will file a “Notice of Trustee Sale” – NOTS with the County Recorder to start the foreclosure process. The NOTS will include the date on which the sale is to occur, which will be at least 90 days after the date of the NOTS, as well as the time and place. “Pre-foreclosure” most accurately refers to the interval between the NOTS and trustee sale date, but it’s sometimes also applied to the delinquency period prior to the NOTS. After foreclosure, if the borrower still occupies the property, eviction begins immediately. Once the lender has possession, reconditioning and selling efforts begin. The lender is simply a seller and the REO is simply a commodity to be disposed of subject to current, local supply and demand factors. A goal of every lender is to minimize the overall costs of their REO portfolio. Just as for a department store, sometimes they will make every effort to “blow them out”. At other times they will not be so motivated because they expect better prices in the near future. So, how do you know what the lender wants for a specific property? And what unique factors might influence those decisions? As a buyer, your perspective must be quite different from that of a lender. Your goal is to make a profit, through a fairly prompt resale, or over time through leasing and future appreciation. In either case, you must understand that … your profit is made on the “buy” side of ownership. The price you pay must consider all cost and time factors, as well as not-too-rosy expectations for market trends. The property must be a commodity to you as well – don’t ever get emotionally attached or feel that some deal must be made. Calculate your price limit and don’t go over it. Given identification of a desirable property and calculation of your price limit, how do you make buying that REO happen? Within your price limit, the winning strategy is to give the lender whatever he/she wants to the full extent possible. Every lender for every property wants offers with no contingencies, a short time to close, and evidence of strong financial capacity. In addition, most properties have one or more unique factors that you can use to make your offer more attractive. During the pre-foreclosure period, before or after the NOTS, the owner/borrower may list the home for sale and get a purchase offer, which will involve a loan payoff that is less than the amount owed to the lender. The lender may agree to accept that amount, or an amount negotiated somewhat higher, and release the lien on the property because the lender: (1) sees the only other option to be foreclosure and calculates a short payoff to be less costly; (2) gets the payoff several months earlier than with a foreclosure; and (3) is relieved from substantial investment restrictions imposed when there are foreclosed properties (REO) on their books. Since the payoff involves a sale of the property, the over-all process is referred to as a “short sale”, but “short payoff” is more a accurate reflection of the process. Universally, lenders are adamant that the debtor not get anything from the short sale. Their attitude seems to be that the debtor is costing them a chunk of money and is breaking a promise – so must vacate the property and take no cash from the process. Keep in mind that a short sale involves a contract between the owner and the buyer. The lender is not a party to that contract and is not bound by any terms in that contract. The lender makes the deal possible by agreeing to accept the net proceeds from the transaction as payment in full to release the lien on the property, provided that the terms and conditions of the transaction, most importantly the amount of the net cash, are satisfactory to the lender. Buying a short sale property is mostly a matter of dealing with the substantial negatives of the process. The short sale “package” that’s sent to the lender involves substantial work by the seller to assemble tax returns, bank statements, pay stubs, etc., and to create a hardship letter and a financial statement. Plus there is all the work and inconvenience to prepare and market a home. The only benefit from a short sale to the seller is less damage to his/her credit than a foreclosure would cause, which is very real but also very abstract. A lackadaisical seller will likely result in a very frustrating experience. Listing agents must do a lot more work, spend a lot more time, and typically get paid less for a short sale, so motivation here can be an issue as well. The time to get the initial response from the first mortgage lender can vary from a couple of weeks to a couple of months. In addition, if two lenders are involved because there are two loans secured by the property, dealing with the second lender will extend time periods even longer. It is vital that a very complete short sale package be submitted initially, so that when the first lender finally responds, it’s with the terms and conditions required to allow the short sale to go forward. It is also vital that the listing agent continue to call the first lender to monitor, and promote, progress of the package through the system. Rarely will either the seller or lender repair or replace anything. The “As-Is” nature of the sale is in the purchase documents in multiple places. You can and should inspect, but largely for a buy or no-buy decision. If there are substantial issues discovered by inspection, you should give the seller and lender written notice and evidence of the issues, and require a reduction in the price to go forward. With written notice, the issue must be disclosed to any subsequent buyer, which motivates the lender to negotiate with you. With “regular” home purchase contracts, a deal is a deal. If the buyer performs, he/she gets the property. A seller here who tries to take a later and better offer is subject to a law suite to force specific performance, or to pay damages – not so for a short sale. The lender is not party to the contract, and their acceptance letter always has a weasel clause. If a subsequent offer is substantially better, it is not uncommon for the lender to require the net that would result from the second offer, thus acceptance of that offer, putting the first buyer out. Lenders will rarely pay for any extras, like a home warranty. Sometimes lenders try to avoid paying standard seller closing costs such as HOA transfer fees. However, all things are negotiable here just as for a “regular” transaction. Plus, make allowances for the higher costs with a lower offer price.